I’ve often heard that saying, ‘You’ll feel the pinch only when it is one of your own’. That sums it all up. The reason why we don’t feel anything or why our hearts don’t go out to the people who are injured in war is because we are simple beings who are selfish. They volunteered to stand up for their nation and served the country and its citizens, but its not up to us to care for the people who decided to do this to themselves, right? When will we change? When will we learn to put aside our selfish ways and be more gentle and caring? The Healing Heroes Network of medical professionals has a mission that will make even the hardest of hearts melt. It tugs at the strings of the heart. Healing Heroes Network is a Florida based 501(c)(3) 26-3714861 non profit organization which was established to serve the courageous men and women of the military and their families. Since their institution in 2008, The Healing Heroes Network has been trying its best to be a ray of hope for those who have been injured in war. They are a network of professionals who have a deep passion and are determined to make a difference in the lives of all those war heroes who have been denied treatment or been put on waiting lists. Since the terrorist attacks of September 11, 2001, life has been extremely difficult for those people who were injured in war while they were carrying out their line of duty. They stood for their nation, protected the people and some, and even went to the extent of giving up their very lives to buy the nation freedom. So we’ve robbed the, of their freedom, put them in this situation and yet, won’t turn around to help them up? 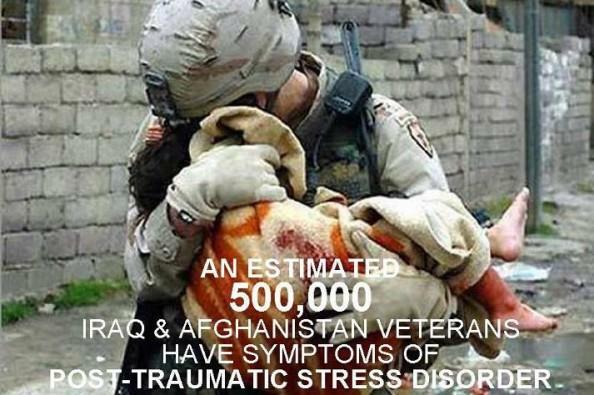 According to a report by the Armed Forces Health Surveillance Center, more than 10% of war veterans are reported to have at least 2 symptoms of PTSD and 27% are reported to have symptoms of depression. Traumatic Brain Injuries (TBI) and Post Traumatic Stress Disorder (PTSD) are cropping up and occurring at an exponential level. It is more than just physical injuries; they are suffering from many emotional and psychological disorders. The Healing Heroes Network has provided countless number of therapeutic treatments, including Hyperbolic Oxygen therapy, Massage therapy, Acupuncture, Counseling, and much more. They strive to be a breath of fresh air in the lives of injured soldiers who have valiantly served their nation. This organization helps the military troops to have a smooth transition from military life to a civilian life. They are now asking you to rise up and take your place. Every act of generosity makes a difference to the lives of all those veterans in need. Every donation that is made goes to help make their lives a little bit better. Give back to those war victims. . A small thoughtful act of ours goes a long way.